This is an ice cream float that tastes like a dream. 1. Blend strawberries and milk for 15 seconds until smooth. 2. 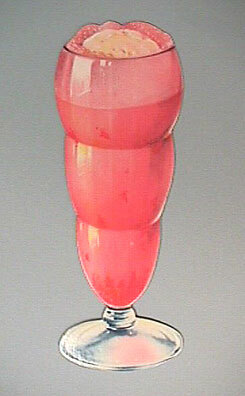 Add a scoop of ice cream and SLOWLY pour soda to the top of the glass. Serve immediately. Note: You can decorate your drink with a tiny bit of strawberry milkshake powder on the ice cream or a chocolate strawberry!